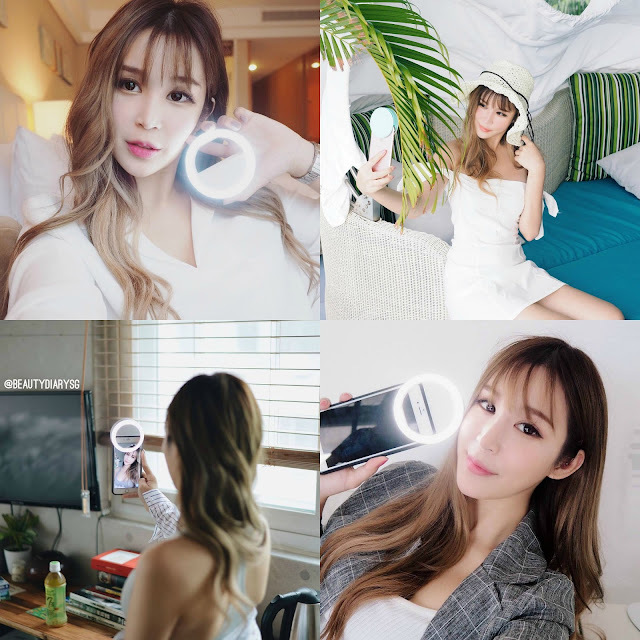 Hi guys, I'm back with another "Are they worth it" post, and this time I'll be talking about an item that's been super hot on Instagram recently: Selfie Ring Lights! 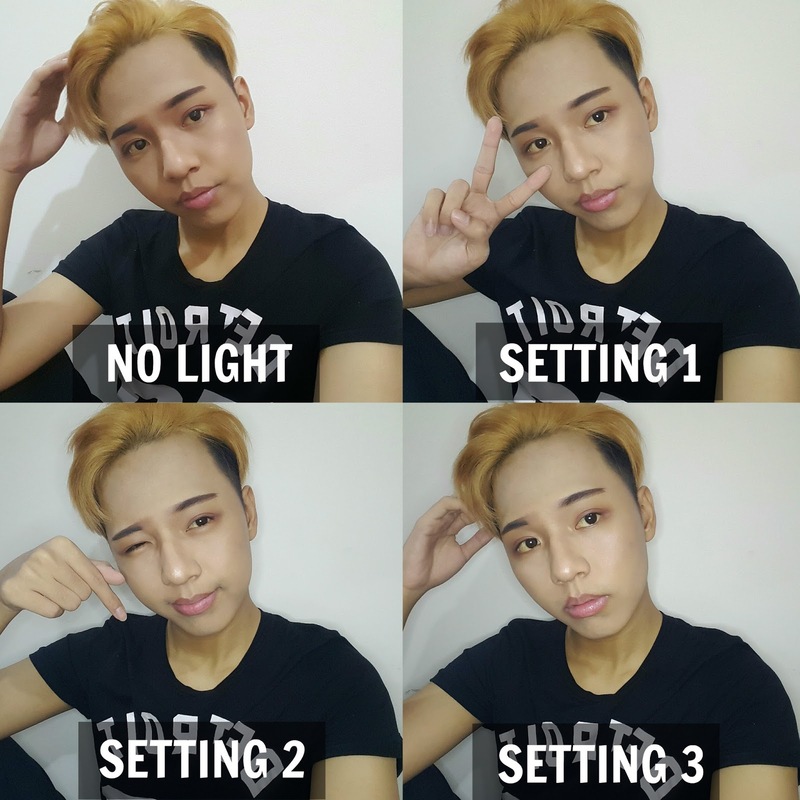 In a way, the selfie ring light is kinda of a hybrid of those two. 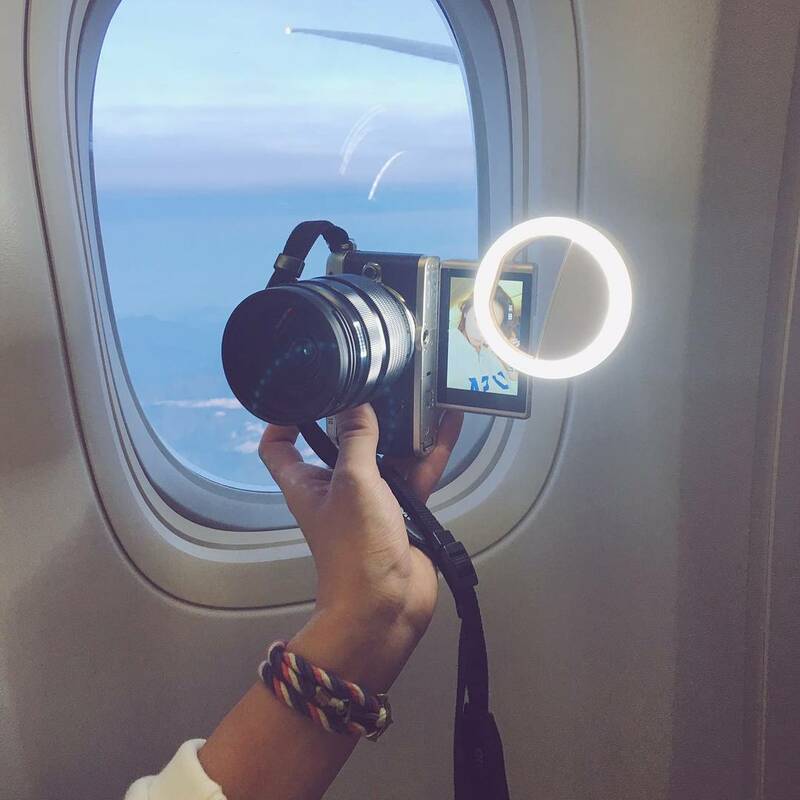 I first saw these ring lights on Miyake's Instagram. I was like OMG what is this new contraption do I need it will it make me look fab? They're basically portable ring lights that you can either clip onto your phone or even your camera! 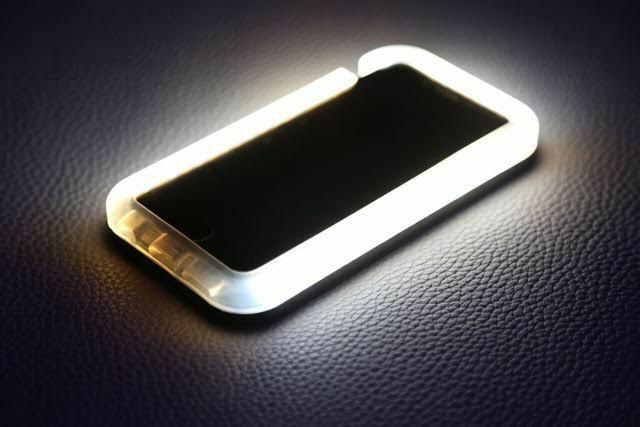 It has 3 brightness levels, requires 2 AAA batteries and can clamp onto objects not thicker than 15mm. So many lighting modes 🤔 Anyway this one doesn't run on batteries but can be charged with your phone cable (which is more eco friendly and convenient in my opinion. I was so intrigued by these lights. First, lighting is a must for selfies and sometimes you just can't help but find yourself in a dark situation *lol*. 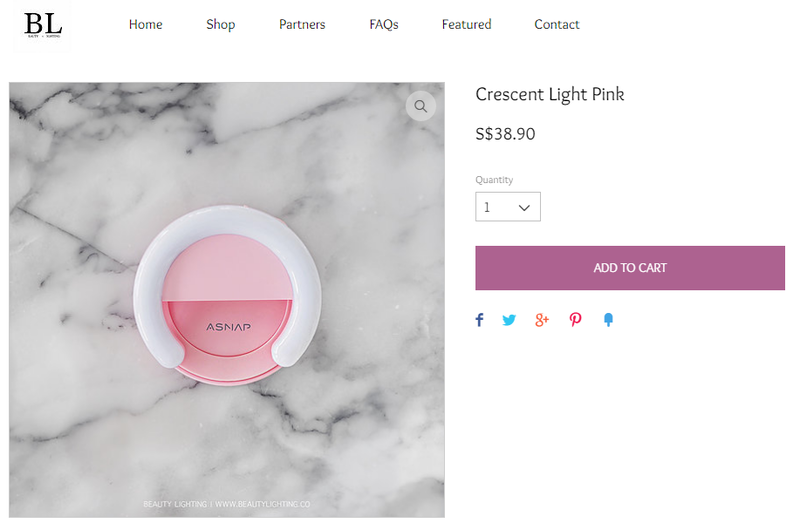 Second, I thought maybe I can use this as a substitute for a ring light when I film videos! As you can see, the ring lights on Beautylighting.co are a bit pricey, going at almost S$20 and S$40 respectively. I ordered it on October 14th and since it was shipping from abroad, it arrived on the 23rd. 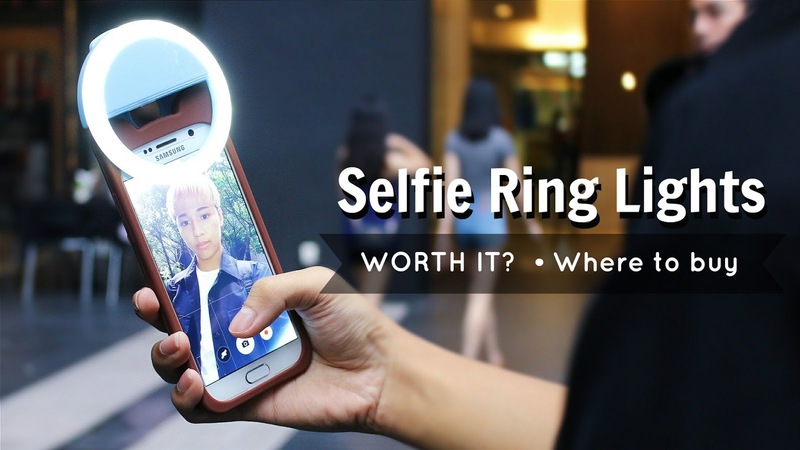 It came in a small box that included a short wire, some instructions and the selfie ring light itself. 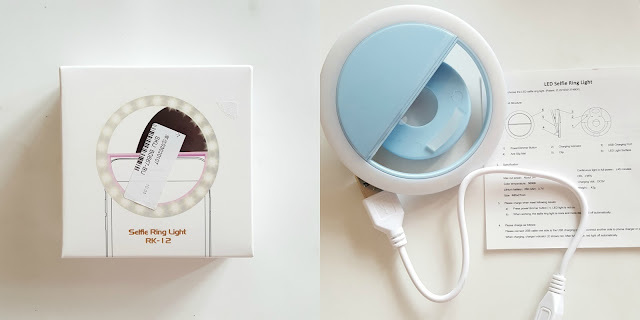 The one I got has 3 light settings (like Miyake's) and can be turned on/off and adjusted through the button at the back. 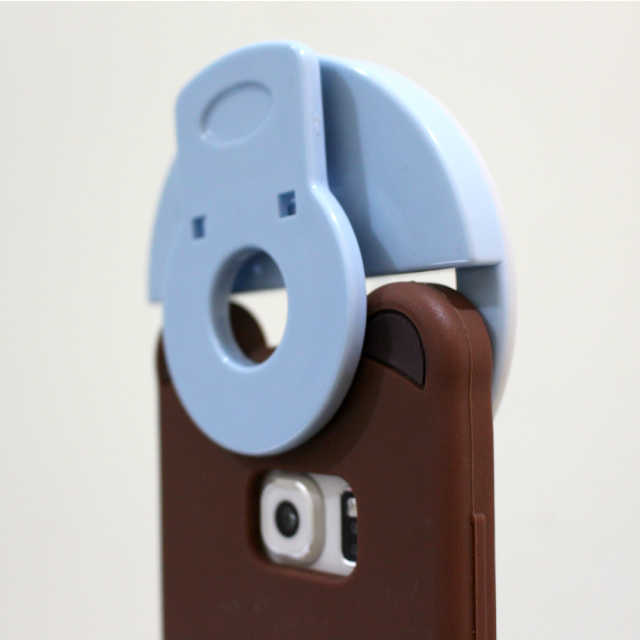 It can also clip onto gadgets up to 27mm thick. Here are a few test shots of me using the light in my room so I can see if it really does help and if it's worth it. Lil' disclaimer, I photoshop almost all my photos but I didn't photoshop/adjust anything in the photo above (and below). Setting 1 is great because the light hid some of my eye bags and totally brightened up my face. 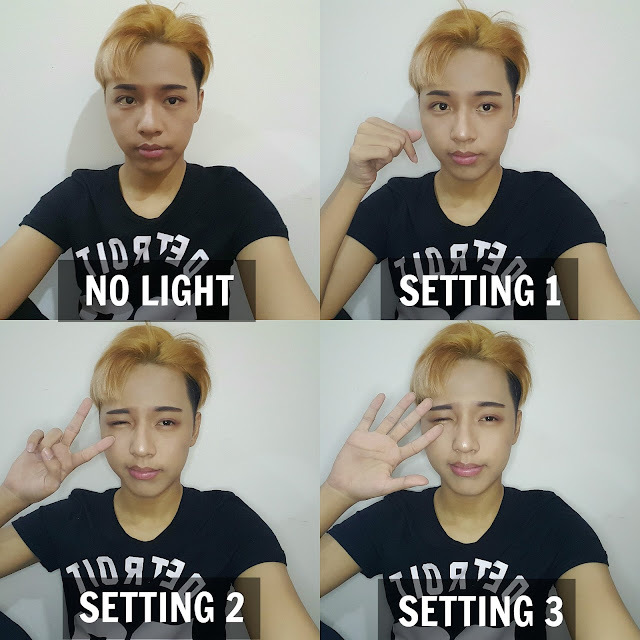 Setting 2 & 3 were super bright and although they look quite similar, you can see that I look a bit fairer in Setting 3. 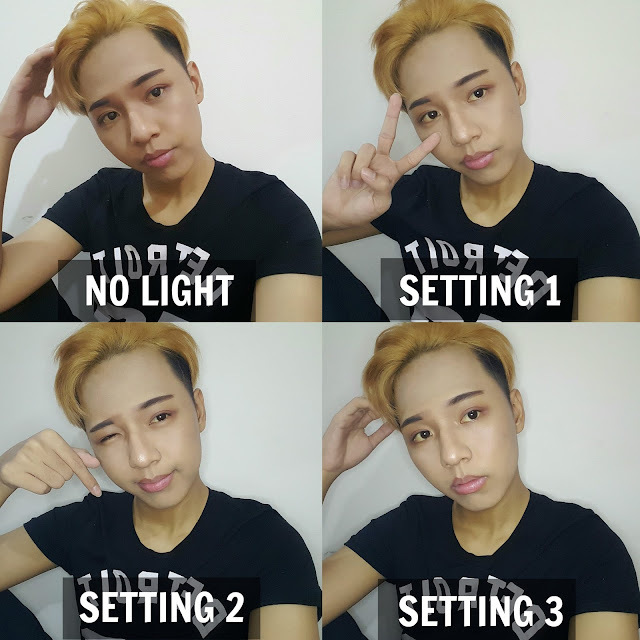 The light does make my skin appear smoother and its overall easier to edit because the photos with the light are sharper. This one below was taken at about arms length at Setting 2 + editing. Although I did have foundation on, it was easier to edit this than the one without the light. 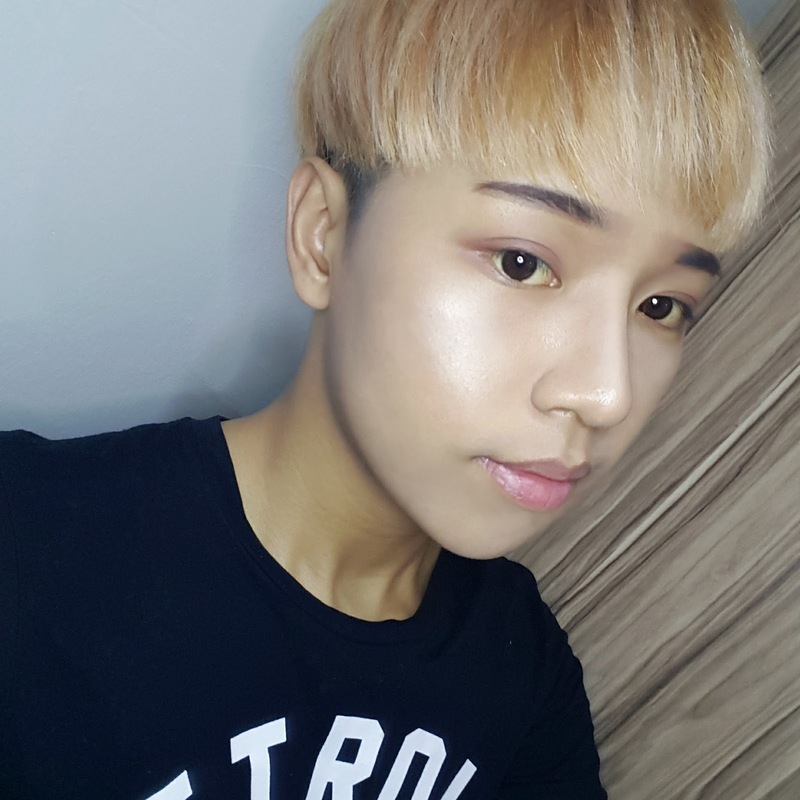 I added some highlighter on my cheeks + edited this one below (taken at Setting 3). 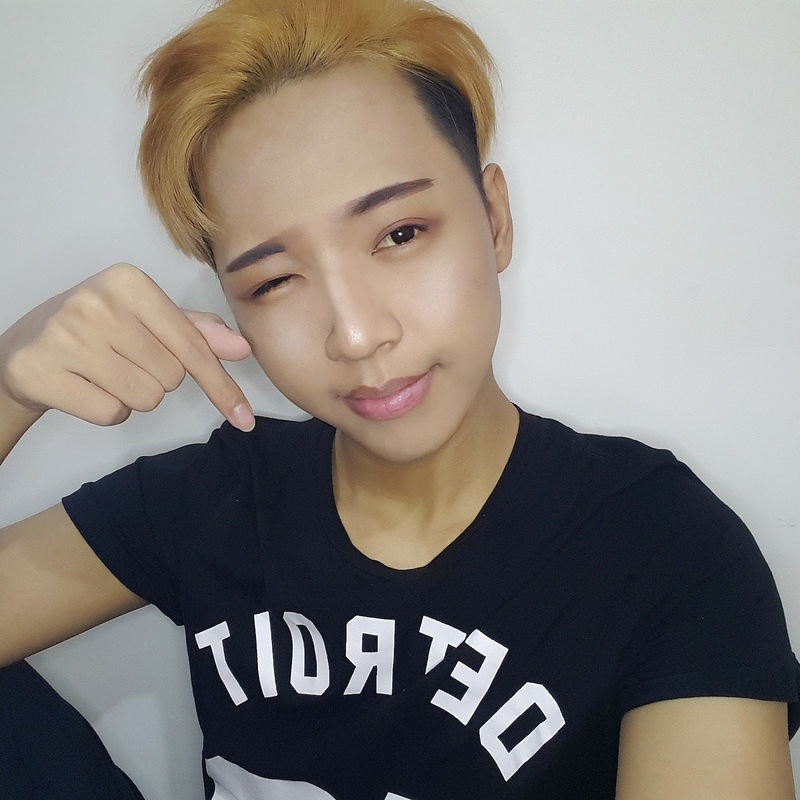 The effect looks so nice homg. I don't really go to clubs or raves but I think this would be a great tool when taking pictures. Keep in mind that although the lighting in my room was bad, there was still light and I was BLINDED. I can only imagine the shock of turning this on while you're in the dark. I've also been using this as a light for my mirror. 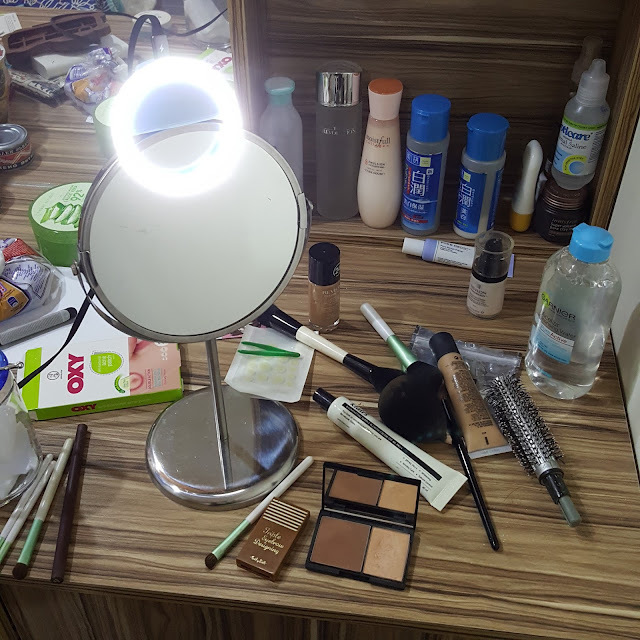 It a good DIY alternative for a makeup vanity mirror and it really helps me see my face better, apply makeup better and see where my stubble/beard/eyebrows are so I can pluck them out. 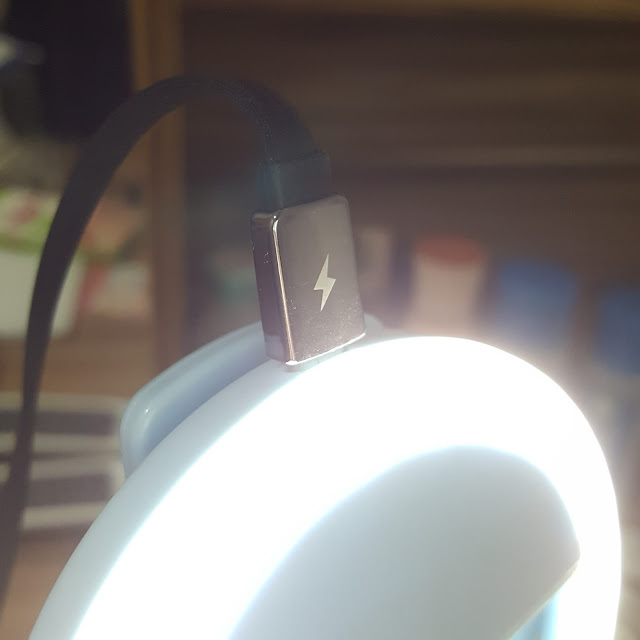 The ring light eventually dims down as it loses its power, so what I do is I plug it into my powerbank. For RM35 I think its a great toy to play with. It's cheap, does its job and even has a bit of multipurpose functions. 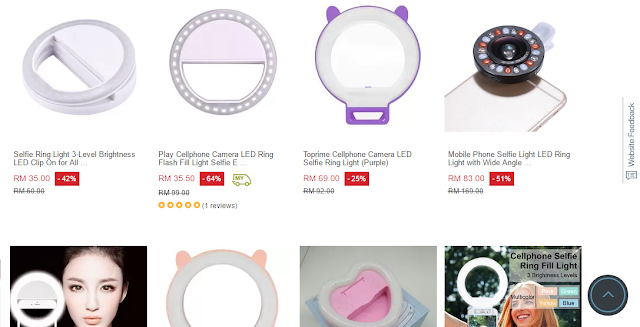 I'd definitely recommend any photo-loving teen (or adult) to get one, but don't spend over RM60 on it please. Extra battery life and features like color adjustment are helpful but I don't really think they're necessary. You can find all the selfie lights on Lazada by clicking here! 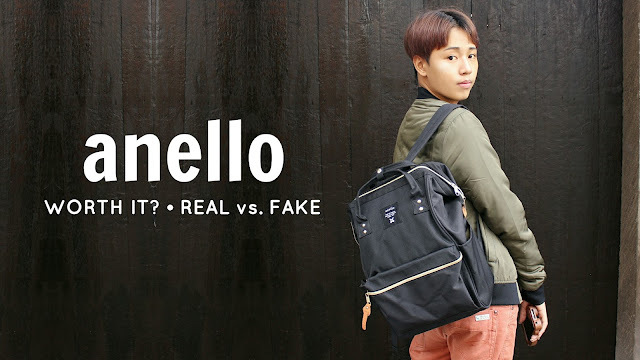 If you guys want me to feature any current trending item, do comment or message me and I'll see if I can get my hands on them. Wow! First time I know about this! Gonna buy it after this. Sorry, a lot of typos in the comments before, hehe. 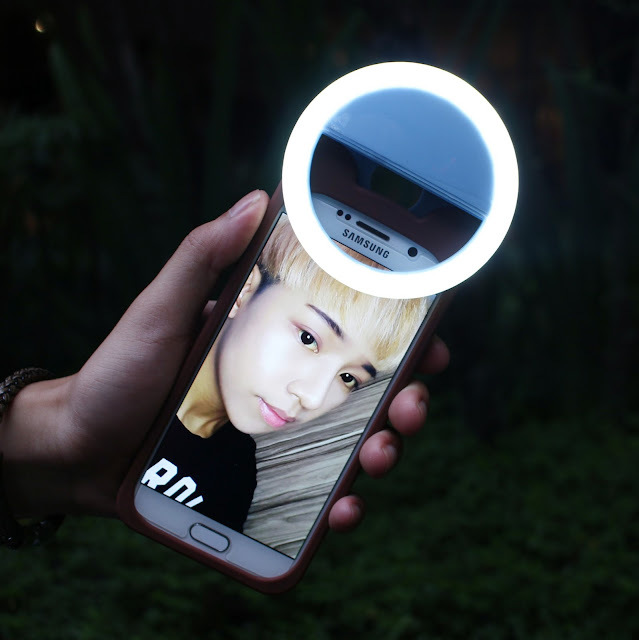 I like the way you review this selfie ring light. Informative and neutral. Thanks! 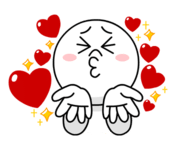 I'll keep reading your blog. Hi love, did you use your front camera or back in those photos?